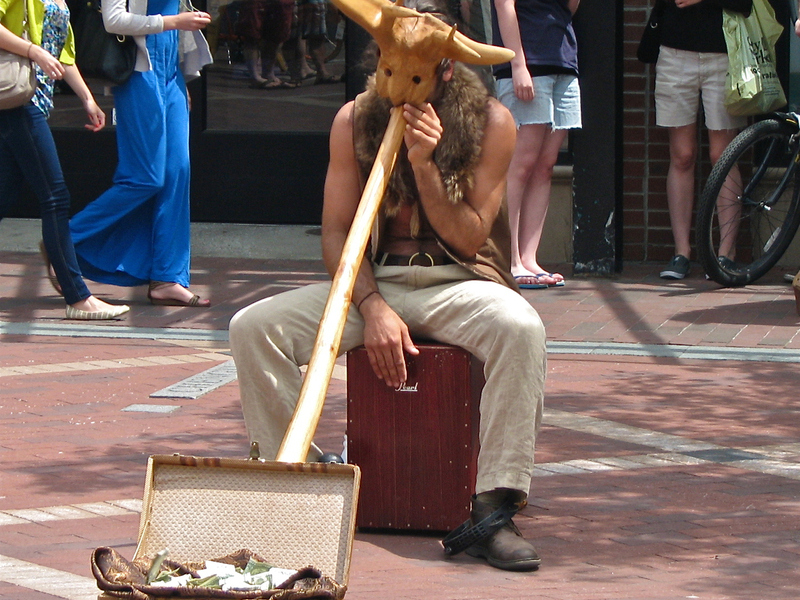 Aboriginal Sounds On Vermont Streets In downtown Burlington, Michael "Tree" Sampson plays the didgeridoo in a homemade wooden mask. He says he thinks of himself not only as a musician, but as a healer, too. Sampling the sounds of American street musicians. Sampson performs in his homemade mask. 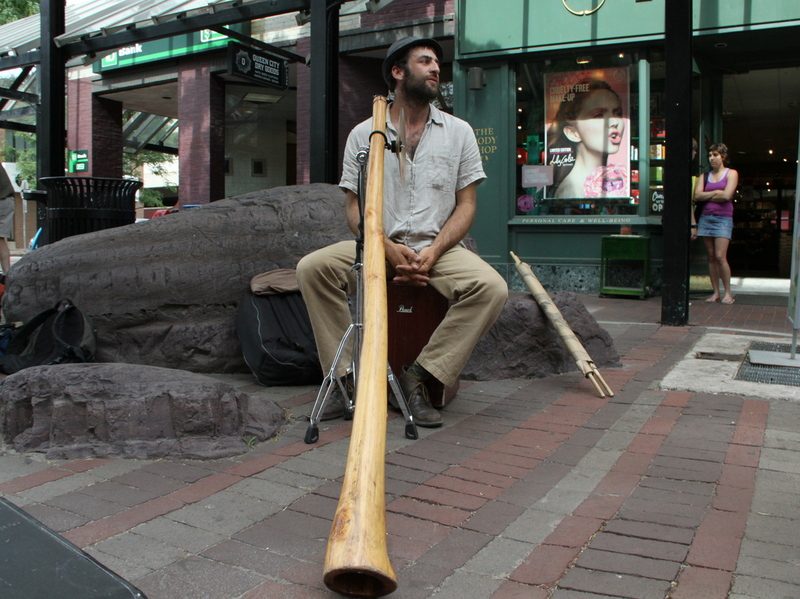 Sampson drops a didgeridoo-fueled beat on downtown Burlington's Church Street.